In this course, the Power of Portfolios, Tina Flatt and Sarah Eton will walk you through the steps of creating portfolios for your students that will provide the missing piece in the data puzzle to prevent gifted students from being overlooked by data driven identification. Many highly gifted children have a high potential but do not yet show a high performance in test scores or grades. Because of this we ought not to rely only on test results and grades to identify and differentiate gifted students in our schools. So what are we to use to spot these children and provide them with the services they need and deserve to thrive? In this course, the Power of Portfolios, Tina Flatt and Sarah Eton will walk you through the steps of creating portfolios for your students that will provide the missing piece in the data puzzle to prevent gifted students from being overlooked by data driven identification. 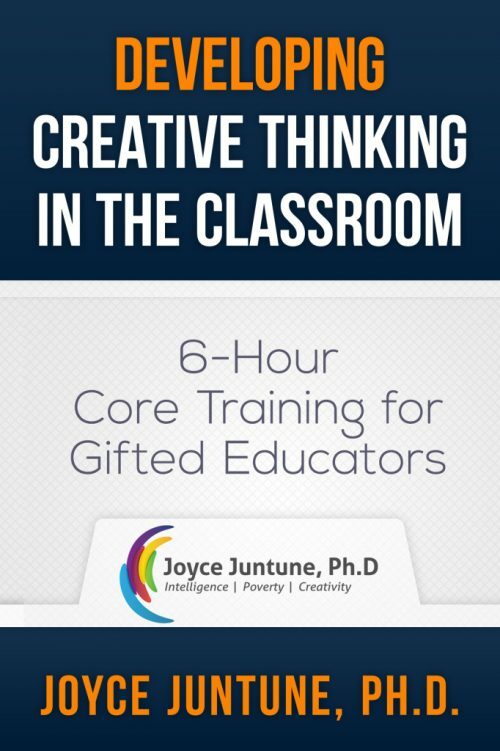 These powerful tools can revolutionize how your schools identify gifted students as well as provide concrete examples to use in ARE meetings and parent conferences.